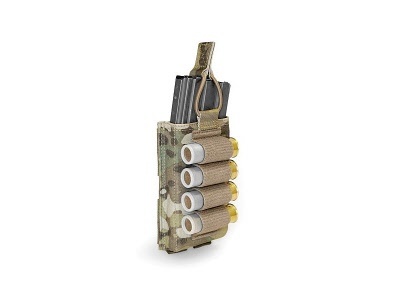 The Single Open 5.56mm with shotgun strip has an elastic retention for fast, smooth mag changes it is low profile and includes space for 4 rounds of 12 gauge Hatton breaching shotgun shells / CS Marker rounds etc. 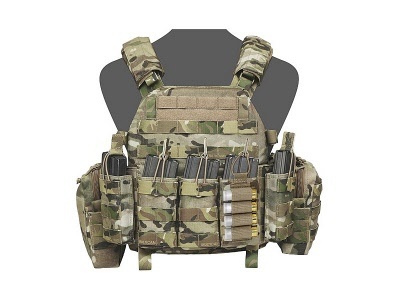 The main compartment is lined with black non-slip posigrip material for extra mag retention. 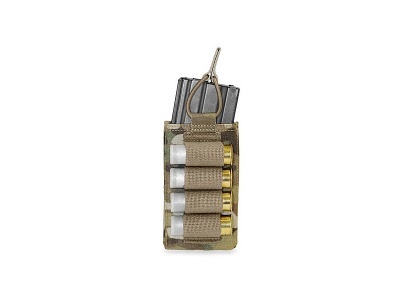 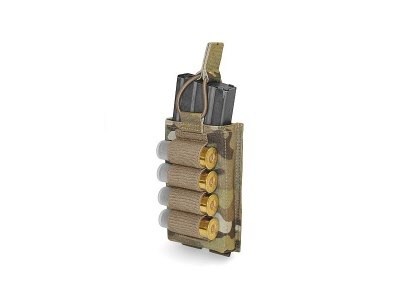 Designed to hold both metal and plastic 30 round 5.56mm x 45mm mags.